The NCD Alliance, through a partnership with Pfizer, will develop a report on health workforce for NCDs, ‘Protecting Populations, Preserving Futures: Optimising Health Workforce to Combat NCDs and Achieve UHC’. The report will be developed to explore how the health workforce can be strengthened for NCD prevention and control, with a focus at primary healthcare level. 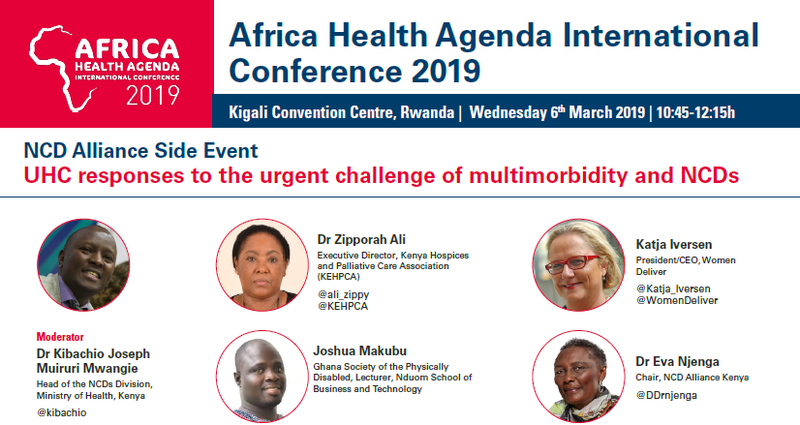 It will explore the crucial role of the health workforce across the continuum of care, with a focus on frontline health workers, and highlight existing strategies and good practice to support the planning, education, deployment, management and reward of the health workforce for NCDs. The report will be targeted at national and local public health professionals and practitioners. Case studies will be a key feature of the report - if you know of a case study that should be considered for inclusion, please fill in this form with a brief summary (50-100 words) of the initiative by 18 April and we will contact you to discuss it further.